The Travelers Budget Inn in Niagara Falls, NY, offers guests ideal location just minutes away from world famous natural wonder Niagara Falls, Seneca Niagara casino, casino Niagara.This Niagara Falls Motel is also only 2 blocks away from the Prime Outlet Shopping Mall and a variety of nearby restaurants. 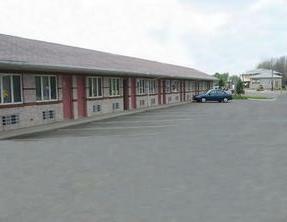 The Travelers Bidget Inn is a one floor outside corridor motel with 25 guest rooms. Amenities include Free wireless High Speed Internet, Free Continental Breakfast, seasonal Free shuttle to falls and casino, At door parking, Free local calls and Free daily newspaper. All guest rooms offer Cable TV, Fridge and microwave, Hairdryer, Phone and standard amenities, absolutely no Pets allow.